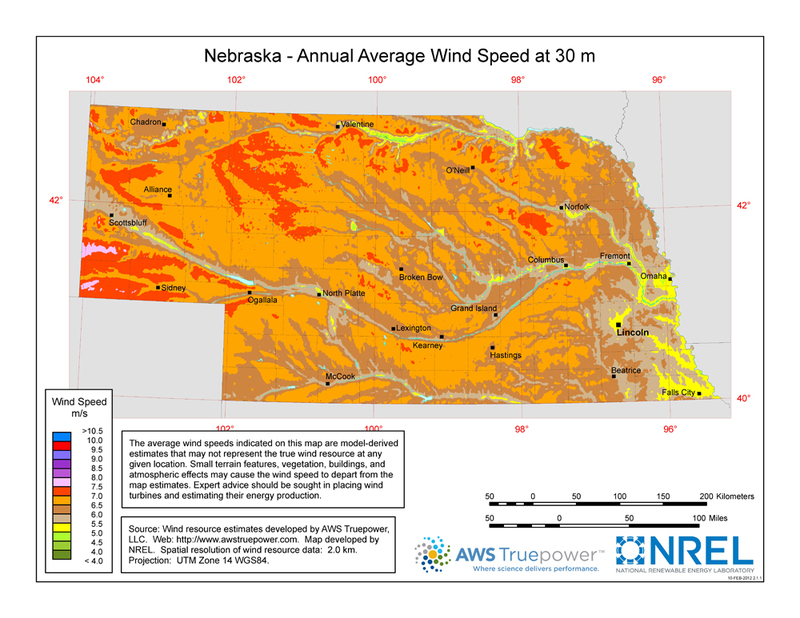 Omaha, NE – According to the American Wind Energy Association, Nebraska is ranked fourth nationally for the potential for wind power. Yet, Nebraska sits in the middle-of-the-pack when it comes to the capacity of wind power. 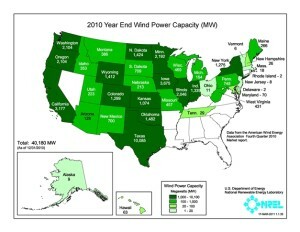 Or how much wind power it can currently produce. With the rising cost of coal nationwide, state legislators are pushing for new legislation which would allow the state to take advantage of wind as a big natural resource instead of having to turn to other states to import coal. Annette Dubas, state senator representing Nebraska’s 34th district, said the timing is right to incorporate new energy sources. Dubas, a democrat, is running to be Nebraska’s Governor in 2014. She said while wind is not the only answer, it is the next step in utilizing Nebraska’s natural resources. A fellow gubernatorial candidate in 2014, republican state Senator Tom Carlson said he agrees with Dubas, taking advantage of wind’s potential in the state is vital to its growth going forward. But he also said wind’s biggest flaw is that its energy cannot be stored like a battery or generator to be used later. So when wind is generated by a turbine, if it isn’t being used, it is wasted. Nebraska is different than any other state in the union as it is the only state with 100 percent of its power being publicly owned. The Omaha Public Power District has been taking advantage of reduced prices for wind energy production starting up in Nebraska. OPPD bought 200 megawatts of energy output from the Prairie Breeze Wind Farm near Elgin, Neb., earlier this year. A few weeks ago they purchased another 400 megawatts from Grand Prairie Wind Farm near O’Neill, Neb. They are trying to help Nebraska catch up to states like Iowa which produces more than 2,500 megawatts per year. Dean Mueller, OPPD’s division manager for sustainable energy and environmental stewardship, said his company has to balance saving money and taking the right steps forward with renewable energy. The federal government has been pushing for renewable energy sources for years. In promoting this they started the federal production tax credit (PTC). This amounts to 2.3-cents-per-kilowatt-hour for wind producers and to more than 25 percent of the cost of producing the wind farm, according to Mueller. However, these credits are available only to private renewable energy developers. With OPPD not being eligible for these incentives they have instead been working with private developers who build wind farms. The developers then compete for OPPD’s contract to buy 100 percent of their output of wind energy from their wind farm. Mueller said this has allowed OPPD to buy wind energy and use it along with its current form of making electricity, coal. Mueller expects the O’Neill farm to be operational by the first part of 2016 and he said it will help power more than 118,000 customers. “We use the wind when it is blowing, and when it is not blowing we have the capacity from our other plants and other plants in the power pool to fill in when that is necessary,” Mueller said. Mueller said another drawback to wind energy as a renewable source is that cannot be counted on 100 percent of the time. The federal tax incentives are set to expire at the end of 2013, which at least partially explains OPPD’s jump at a two more wind farms in Nebraska. Carlson said this could potentially restrict public power entities from how much they can pay for or invest in, in addition to what it costs to generate electricity through traditional means. Senator Carlson said it is tougher for public power companies to get into the development of wind. But he brought up a couple bills that have been passed in the Nebraska legislature in the last couple years that help alleviate the stress. LB 1048 allowed private companies to come into Nebraska and develop facilities for exporting electricity. Also LB 104 which passed last year is favorable to big companies as it offers tax incentives for renewable energy projects. And Carlson said several companies have taken advantage of this, with OPPD’s acquisitions a prime example. Another issue with wind power is the potential for negative impacts on wildlife. 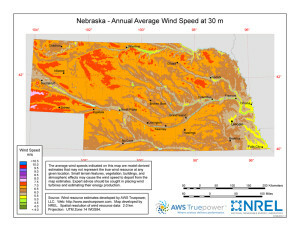 Caroline Jezierski, project coordinator at the Nebraska Wind Energy and Wildlife Project, said when it comes to the protection of wildlife with wind energy in Nebraska, the possibility of bats or birds flying into wind turbines is a major concern. But she said there is not enough research as of now to make a judgment. “I would say that wind energy is, if it is developed in a manner that avoids, minimizes and mitigates impacts to wildlife and habitat, is a great step forward for a new energy source that is not a carbon dioxide producer,” Jezierski said. She points to other questions about coal and fossil fuel burning generators as to why it is important for Nebraska to move forward. Will the Environmental Protection Agency pass more clean air standards for fossil fuel powered plants? How could this be more costly to retrograde or upgrade the facilities to new standards? Dubas and Carlson will both be attending the annual Nebraska Wind Conference in Lincoln next month with Governor Dave Heineman. They want to make sure wind energy can be utilized in an affordable way with traditional ways of generating electricity. They agreed having a mix of energy sources, including solar and hydro power, is the right answer right now. 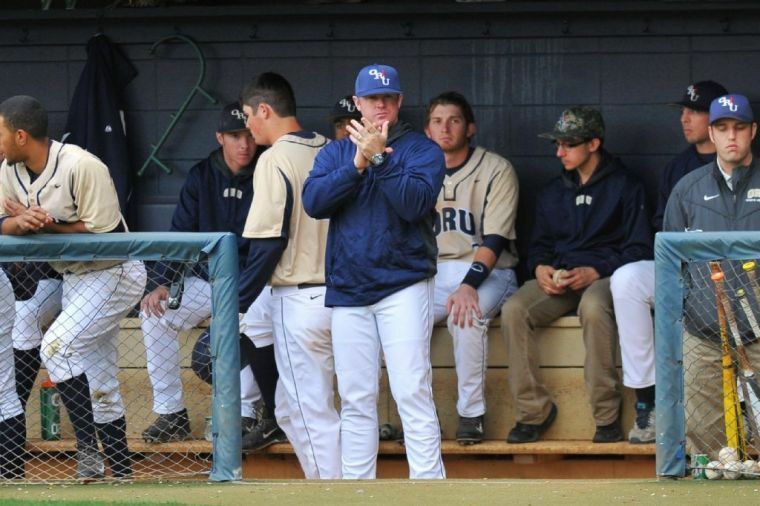 Carlson said it’s important to remember the job of a public power outfit. “As we go along we have to be mindful of what public power is authorized and commanded by our law to do and that is provide electrical energy at the lowest cost to our citizens,” Carlson said.